In a Nutshell: Traveling can be difficult for people of any age, but it is especially daunting for retirees who spent most of their last 30-plus years at work. Although Nielsen called baby boomers “The Most Valuable Generation” because of the group’s spending power and large population, many advertisers overlook them when promoting their products and services. 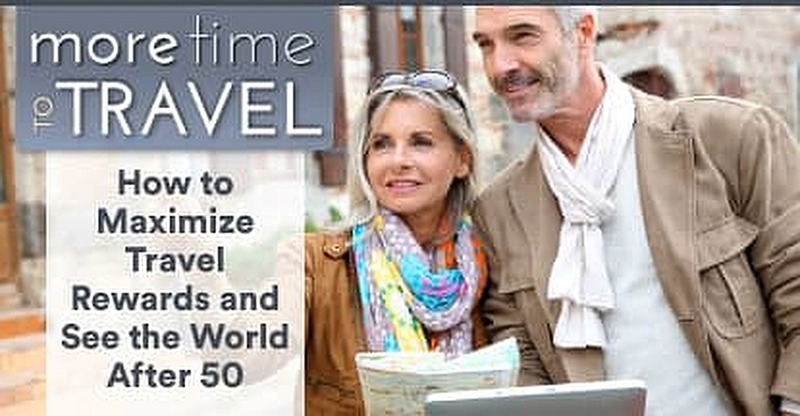 That trend is changing as popular blogs like More Time to Travel showcase the desire that 50-somethings have for seeing the world and experiencing new things. The blog provides tips and advice for vacations by land, sea, and air, as well as recommendations and reviews of popular destinations, hotels, and restaurants. My parents both retired three years ago after they each spent more than 40 years at their same respective jobs. During their combined 83 years of work experience, they took a total of less than three months of time off — and my mother’s maternity leave accounts for most of that time. Retirement was a struggle for them early on, as their jobs were their identities for so many years and they no longer held that connection. I tried hard to get them to travel, but they resisted all my efforts — until last year. They decided to take a small getaway after seeing former coworkers post vacation photos online. The trips gradually got larger. Soon, they overcame the fears of being “too old” and began throwing caution to the wind. My parents aren’t alone. Baby boomers all over the country now realize that age or retirement doesn’t have to dictate their lifestyle. Among these adventurers is Irene S. Levine, who started her blog, More Time to Travel (MTTT), to merge her love of travel and writing while inspiring others to see the world after they’ve turned 50. Levine’s husband, Jerry, eventually developed a passion for photography that worked well with Irene’s writing and led to the idea for the blog, which details their trips and offers advice for travelers over 50 years old. The website provides readers with a wealth of information, including tips on traveling by air, land, or sea, as well as an extensive knowledgebase on specific destinations, hotels, and places to enjoy a great meal and a glass of fine wine. If you have unused travel rewards currently sitting in your credit card account, the trip of your dreams may be easier (and cheaper) than you think. Most credit card companies have redemption options that will reimburse cardholders for travel expenses such as airfare, car rentals, hotels, tours, and attractions. Points are typically redeemable at a 1¢-per-point conversion rate on eligible purchases, though occasional promotions could make the points even more valuable. Depending on the number of rewards points or miles currently in your account, you could be only a few steps away from living the life you want to live. MTTT’s over-50 readership is as diverse as any other age group, with differences in energy, activity, abilities, interests, and income. Still, these members of what Nielsen dubbed “The Most Valuable Generation” because of their spending power and large population, have one thing in common — the need to find value in whatever they do. Perhaps that comes from their Depression-era parents who learned the hard way how to make every penny count. That influence is apparent in MTTT’s luxury-travel niche, which includes people who are willing to splurge — if it’s worth it. “We are willing to pay for creature comforts, convenience, and authentic experiences — as long as they represent good value,” Levine said. But value can be in the eye of the beholder. A 2016 AARP study of 889 baby boomers (those born between 1946 and 1964) found that 38% have created a travel bucket list of places they hope to visit in retirement. While the survey found a slight preference for domestic travel over international vacations, the biggest concern most respondents listed had nothing to do with age or trip cost, but rather security concerns with traveling abroad. Levine’s growing MTTT readership enjoys, and often responds to, stories she and the site’s contributing writers post detailing their recent adventures. Those firsthand accounts inspire others to take similar vacations, in part, because of Levine’s descriptive writing style. 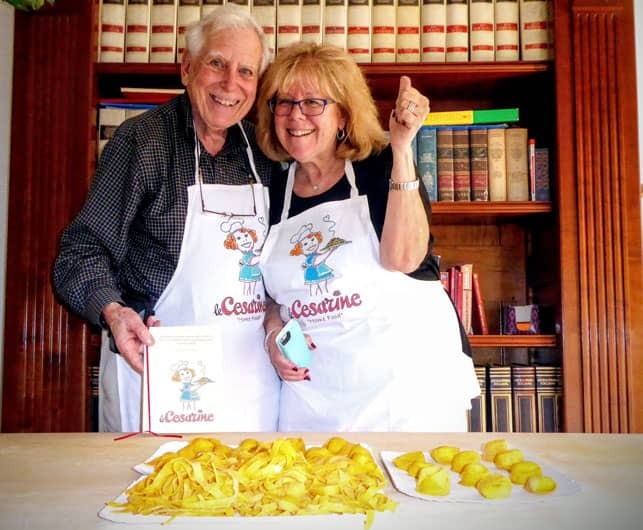 Irene S. Levine details her adventures, including this cooking class in Emilia-Romagna, Italy, on her website, MoreTimeToTravel.com. No matter if it’s detailing a trip to Italy, or a night on the town in New York City, MTTT readers get an authentic account of what it’s like to be a mid-life traveler. Those accounts include tips on flying with knee pain and avoiding falls when traveling. The website also conducts frequent product giveaways for readers, which are always a popular draw. Levine not only details her love of traveling through her writing, but she also has no problem picking favorite vacation destinations. Levine also pointed to the Emilia-Romagna region of Italy as a favorite for its food as well as the landscape and architecture. For sun and sand, the Levine’s favorite destination is Mexico. Over the last six years, Levine has inspired her readers to get out and live their best possible lives during their well-earned free time. Her latest venture, GettingonTravel.com, combines the knowledge and experiences of 40 contributors to form an online travel magazine catered to the same audience as MTTT. The extra outlet gives Levine an even greater opportunity to educate and inspire a generation of travelers who are only getting better as time goes by.